Thinking About Relocating to Brookings, Oregon? Life in Brookings is full of outdoor activities like fishing, surfing, hiking, a vibrant art scene, musical events, and a genuinely friendly small town atmosphere. The town of Brookings may be small, but it provides a wonderful way of life with quality education and health care resources. Once people move to Brookings they never want to leave. With mild temperatures, low crime, an easily walkable town and port, Brookings-Harbor feels like home the day you get here. The Brookings-Harbor area is located in the middle of America’s Wild Rivers Coast at the southwestern corner of Oregon. We are bordered on the south by California’s Del Norte County, on the west by the Pacific Ocean, on the east by the Siskiyou National Forest, which includes the Kalmiopsis Wilderness Area, and on the north by the Cape Sebastian headland. We are the southern gateway to the fabled, beautiful and world-famous Oregon Coast. Our Curry County Coastline is generally acknowledged as the most pristine, ruggedly spectacular, picturesque and accessible coastline on all of the West Coast. Moving to a new area can be an exciting experience but can also present a number of challenges. There is no doubt you will have many questions about your move and Michael and Jill Lange of The Lange Team will be there, on your behalf, to make it a pleasant and informative experience. We are dedicated to meeting the needs of home buyers and sellers beginning with the initial consultation and ending with a successful move or sale. Professional Assistance - You may feel slightly better to know that we make it our business to alleviate fears, to ease the stress of the relocation process, and to smooth the transition to a new home. You don't have to lose any sleep over finding the right home in your new community. We are trained at helping individuals and families find new homes in the best location at the best possible price. Area Tour - When moving to another state, sometimes you don’t know enough about the city, neighborhoods, schools and commute times to make a wise purchase decision. We are happy to spend the time showing you the area, giving a little area history, helping to orient where you will be working, viewing homes in different areas of interest and taking the time to make sure you are comfortable with your move. 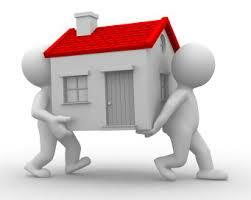 Home Finding Assistance – We have extensive knowledge about the areas in which we work and live. We are relocation trained and are committed to providing personalized service to each and every client we assist in finding that perfect home. We take the time to make sure your home purchase is the right one for you and your family. Home Sale Assistance – If you are relocating out of southern Oregon area and need to sell your home, we have the resources you need for maximum exposure of your home to potential Buyers. We provide a free comprehensive BMA (Broker Market Analysis) of your home and give advice on preparing your home for the best showing potential. Temporary Living – If you need a place to rest your head temporarily until you've found that perfect area and home to buy, we can refer you to a full service property management service to assist with your temporary housing needs. Mortgage Assistance – We have partnered with lenders who offer several loan programs to create a personal program to meet your specific needs. Make no mistake, relocating is a huge undertaking and you will have several big questions and concerns and we are ready assist you in any way possible.